Dinner in tracky-bottoms is not an option at this fine dining table. Here, sociability and good manners is very important—at least when guests are present! So, if you’re after an imposing dining area, here might be a place to begin the search! For more dining ideas click the little green word! Walls, floors and ceilings can also be styled to the baroque period. A carpet can wear down over time and require replacing. Here, that isn't an issue. Highly polished and with magnificent patterns, this floor changes a living room into a ballroom. 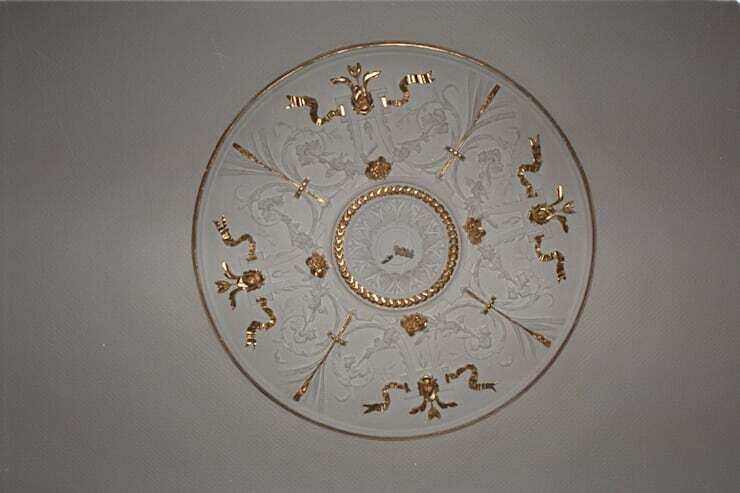 Especially for vintage apartments, a ceiling rose like this would do just the trick. Also, a piece like this would look right at home in many Victorian homes across the country. 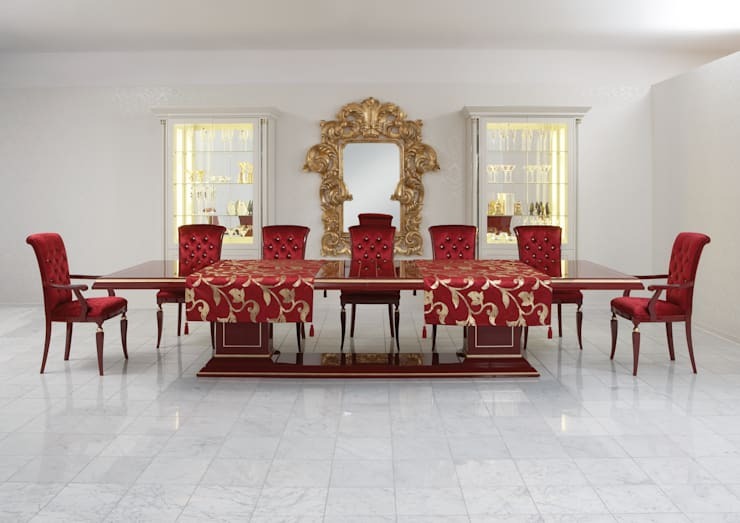 Typical Baroque furniture is usually made of high quality wood with natural golden ornaments. This chest of drawers has been hand crafted from European beech wood. 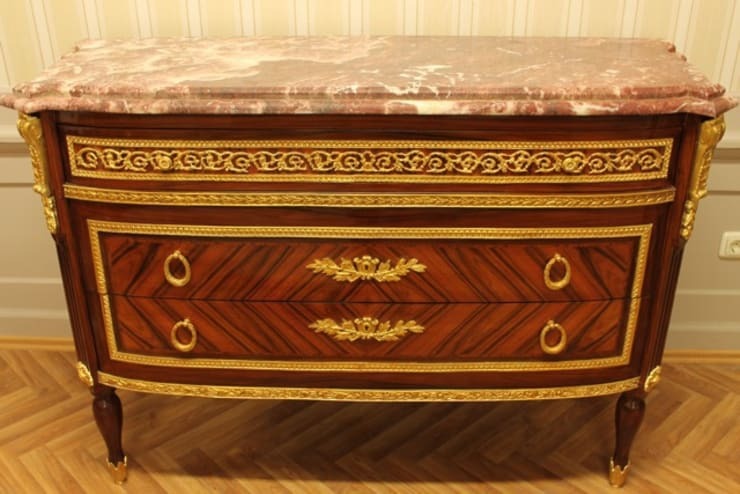 A red marble top adorns the shelf of the dresser and gives the whole thing an even more regal touch. If we live in such a royal ambience, we might also have pieces of jewellery that we want to keep safe. 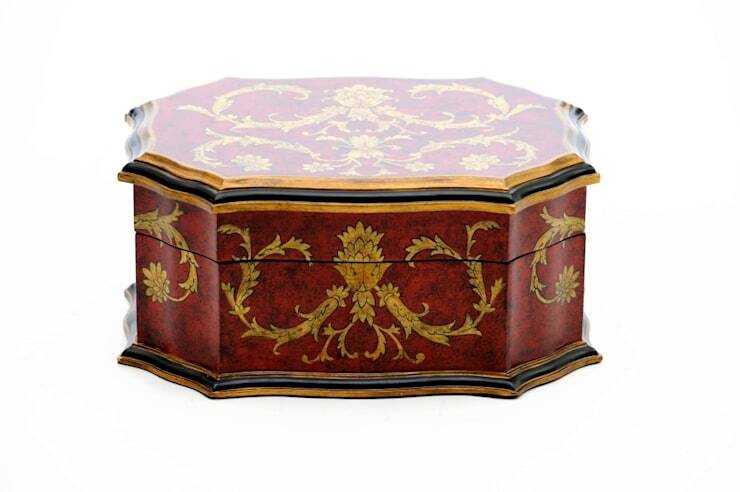 In this, antiquarian looking box, we can hide our most prized fashion jewellery within the confines of the Baroque style. 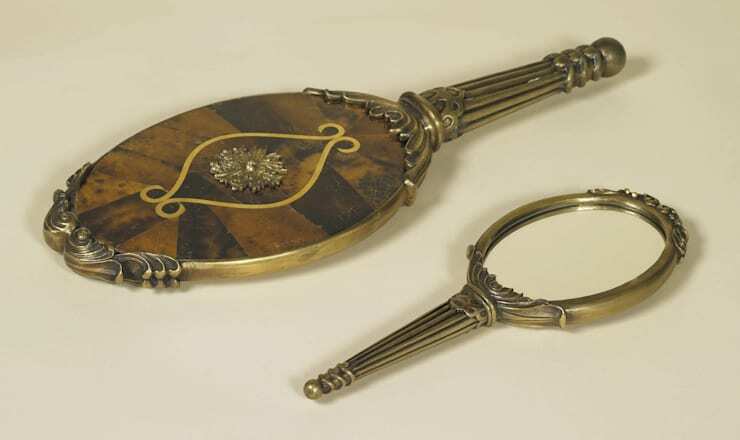 What about a mirror in the baroque style? You don’t see these gems often enough these days. It seems a shame, given how beautiful and ornate they are. This one is a mix of brass and shell. For that luxurious sleeping experience that you've always wanted, we have this bed. What a grandiose piece this really is: look at all the details involved in the craftsmanship; a modern baroque masterpiece. 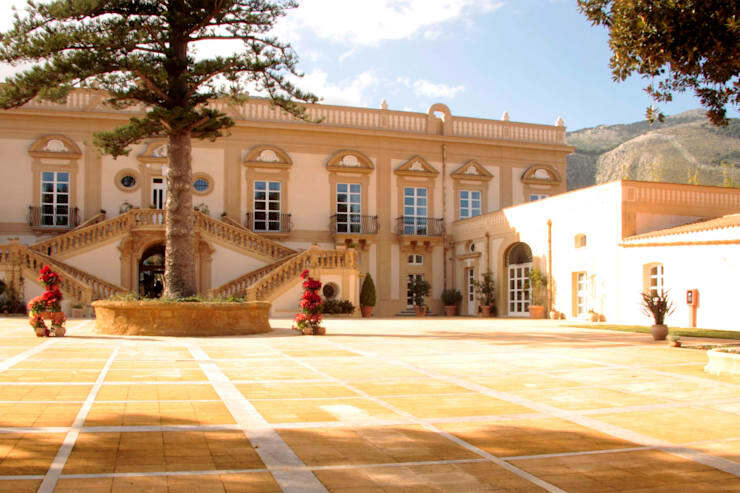 If you like the baroque style, but prefer to admire it outside of your apartment, take a look at this spa hotel in Palermo. The baroque-style property might surprise you with its interior modern spa facilities. Like a bit of the baroque yourself? Let us know your favourite pieces in the comments.